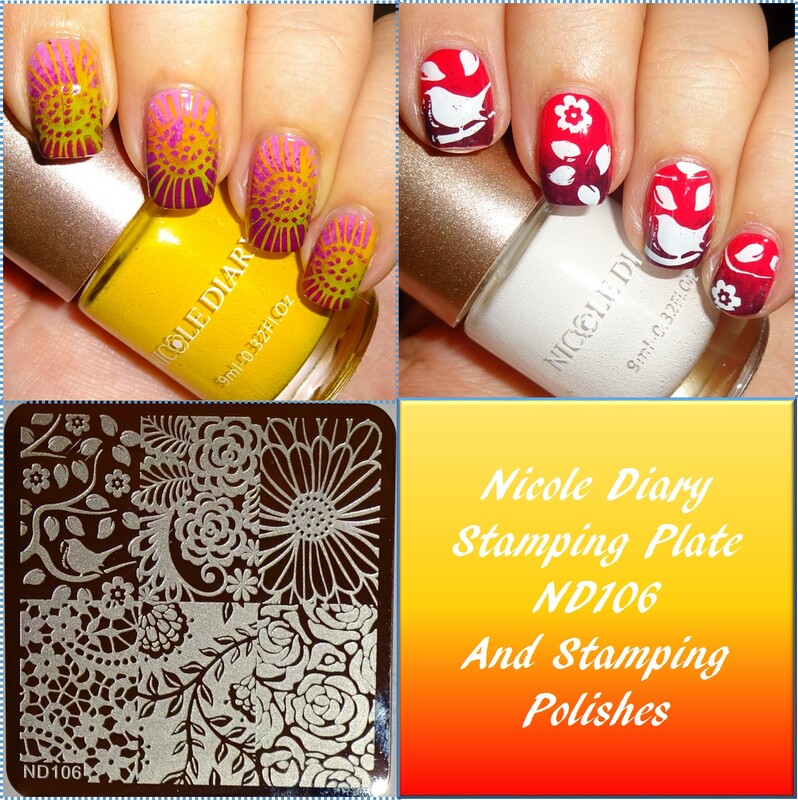 A square stamping plate from Nicole Diary ND106 is filled with various flower designs, leaves, a bird who has caught a worm and a lace pattern. I've used the middle of the daisy pattern using the yellow stamping polish over a pink gradient base, and the bird that's caught the worm using the white stamping polish over a red gradient. The polishes are from a 13 piece collection at Amazon and the plate is available at Aliexpress. I love to do nails with stamping, it's easy for us beginners. I'll keep in mind the next time I have with my sister ordered the Aliexpress to use your code.